If you love nut butters and are keen to make your own, then you might be wondering what’s the best food processor for nut butter. Making your own nut butter is great in terms of eco-friendliness, reducing plastic consumption and waste, health and cost. 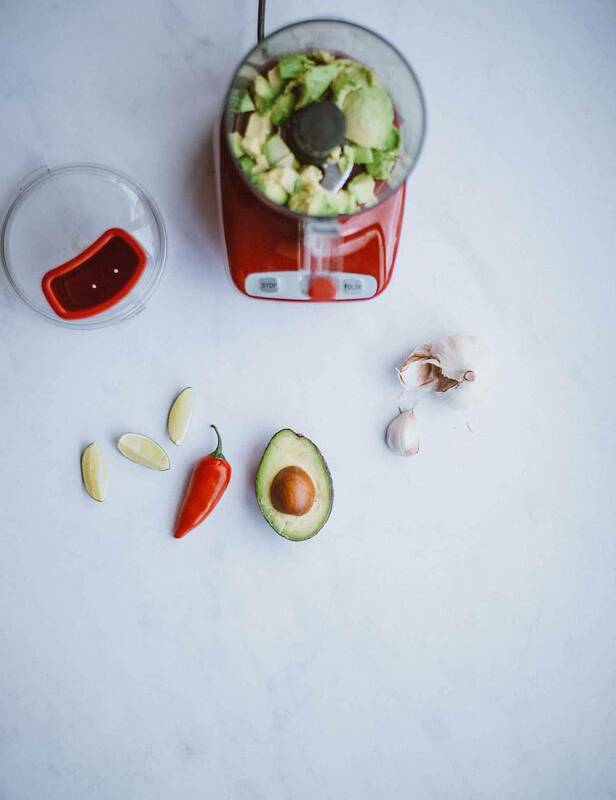 And a food processor is a useful kitchen appliance to have, not just for nut butter but for making lots of different foods: hummus, pesto and cashew cheese, among them. You might be wondering what the top almond butter food processor out there is. To help you chose, I’ve put together this guide to what is the best food processor for making nut butter. See my quick comparison chart for the best rated food processor, or scroll down for more in-depth reviews of each model. Food processor vs blender: which to buy? Well, a good food processor will make your life much easier because you’ll be able to whip up healthy, plant-based dips quickly. If you’re wondering where to fall on the blender vs food processor debate, my answer is: you need both in a well-stocked kitchen. A blender is indispensable for making smoothies, soups, non-dairy milks and cashew cream. But you’ll need a food processor to make cashew cheese, pesto and hummus. And what about the best blender for nut butter? 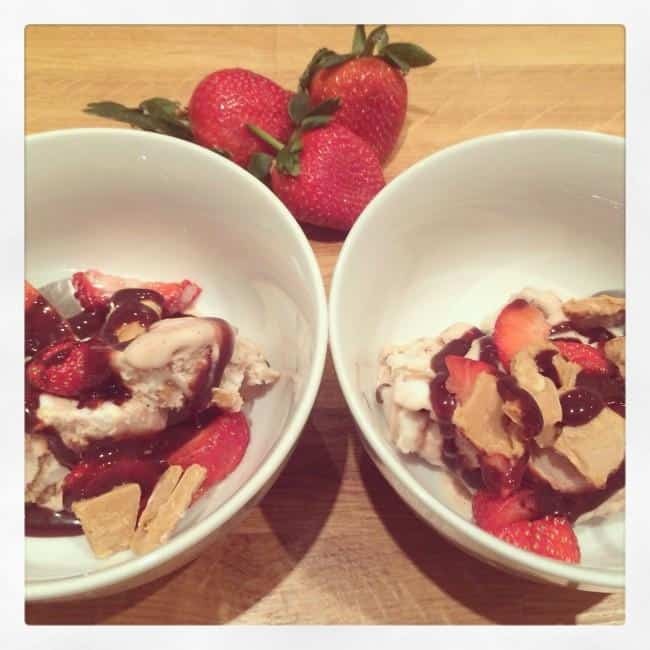 Well, I’ve found the best appliance to make nut butter is a food processor, not a blender, which is why I wrote this article (the exception is if you own a Vitamix blender; in the comparison of nut butter in a Vitamix vs food processor, the Vitamix does an excellent job–the the best blenders for nut butters, or the only blenders, really). I use both my blender and food processor several times a week, and I recommend having both for different uses. Click here to see my guide to buying a blender. Click here to see my guide to the kitchen gadgets every plant-based kitchen needs. If you’re here for the best food processor reviews, you’re in the right place. Here’s how to choose the best food processor for your budget and needs. Below, you’ll find my rating of food processor and a comparison chart, plus reviews of each model. 3c. What is materials is it made out of — plastic or glass? Since home food processors are such an integral part of the kitchen, and quality is essential to making the best nut butter (and other spreads/dips), I recommend you buy the best food processor you can get in your price range. In the following comparison chart, I’ve broken down the best food processors by watts (which measure power and strength) and price. 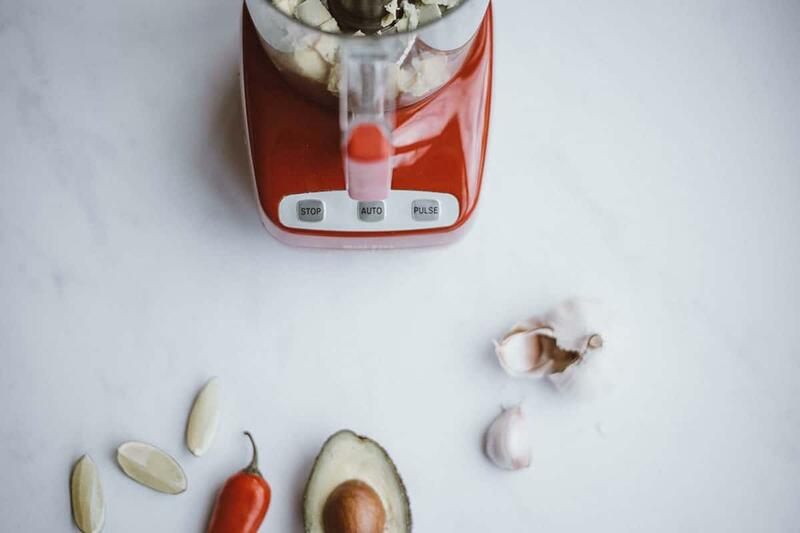 From the best inexpensive food processor to the best high end option, I’ll help you find the best food processor for the money (whatever your budget). These are simply the best food processors on the market today. My rating is based on the balance of these and other factors. Below you’ll find more in depth information about each food processor. There are so many reasons to make your own nut butter; it’s more eco-friendly, healthy and cheaper. If you’re looking for the best food processors for nut butters see the table above or skip down to the reviews. A lot of the big brands of peanut butter contain palm oil, which is responsible for the destruction of rainforests and orangutan habitat. I’ve noticed some brands are making their nut butters with coconut oil instead, but coconuts are not always ethically produced; some coconuts are in fact picked by monkey slaves. When you make your own, you can decide exactly which ingredients to include (or indeed, whether to use nuts only). Jif, the biggest peanut butter brand in the US, was bought by Proctor & Gamble in 1995. Not exactly an ethical company. 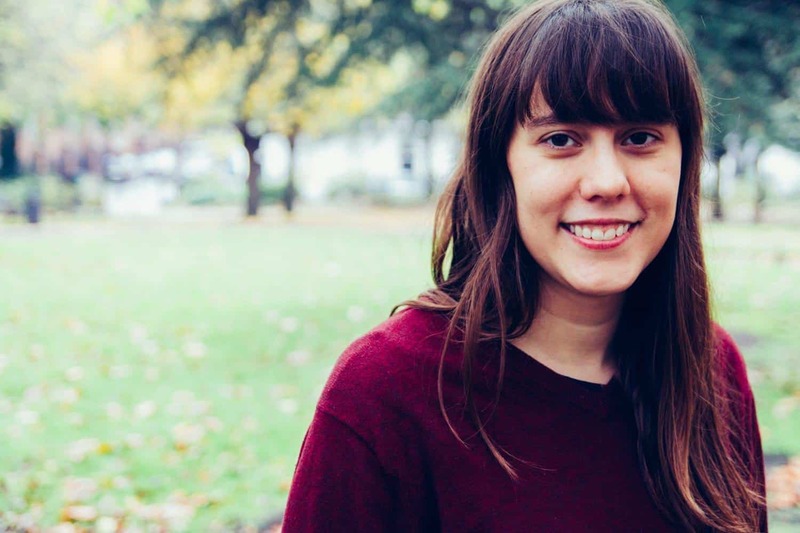 Have you been trying to reduce your waste or plastic consumption? 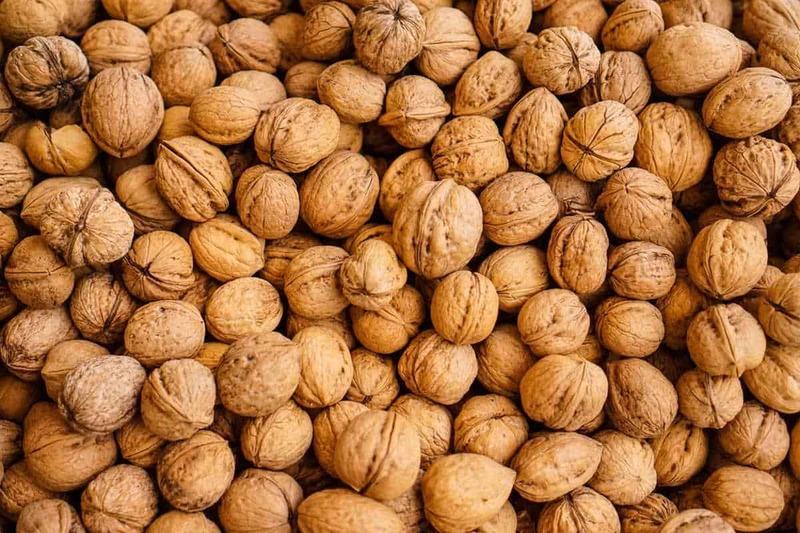 Buy your (organic) nuts in bulk or in big containers if you don’t have bulk available, and reduce waste by blitzing them up into nut butter yourself. As mentioned above, palm oil, which is included in many brands of supermarket peanut butter, is not environmentally-friendly, but when you make your own, you can exclude palm oil. It used to be that you’d walk into a store and your only choices were crunchy or smooth. Now, there’s an explosion of different kinds of nut butters, from cashew to almond to pistachio. But some of the non-peanut nut butters come with a high price tag! And natural/no sugar or salt-added peanut butter is also pricey. By buying nuts in bulk, and making your own nut butter, you’ll save a lot of money. Many commercially available peanut butters are full of added salts and sugars and oils. By making your own, you can control exactly what you put into it, and how much. Choosing the right nut processor will ensure you always get smooth, creamy nut butters. You may be wondering about a nut blender, on the other hand. Why choose a food processor instead of a blender for nut butters? Whether you’re looking for the best food processor for peanut butter, the best food processor for nut butter UK or the best cheap food processor UK (most models I review are available in the UK as well as US), the best food processor for making almond butter specifically or the best food processor for nut butters generally, read on to find out what factors you should consider when choosing a food processor and how to choose one of the best food processors for the money. It can be difficult to know what to look for in a food processor. That’s why I created this food processor buying guide to help you. Watts: this measures the strength of the motor. What material is it made out of: plastic, stainless steel or glass? Plastic is most common, and glass or stainless steel very difficult to find. 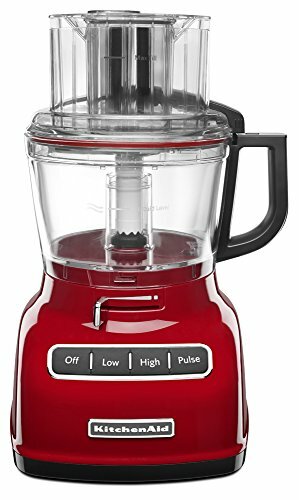 This measures the strength of the food processor, and will give you an idea of how powerful the food processor is, and for a full-sized model (9 cups+) it’s recommended to seek out 600 watts or more. The size/capacity can vary from a mini chopper at 3 cups to a pro/restaurant sized model with 20 cups. For a family of 4, you’ll likely want 10-14 cups; if you’re cooking for one or making small quantities you might want a mini 3 cup model. You’ll also want to consider the food processor’s height (with any attachments such as a feeder tube you use to push down vegetables and other ingredients) if you plan to keep it on the counter. Make sure it fill under your cupboards. What material is it made out of — plastic or glass? This may seem like a simple choice if you’re worried about BPA in plastics and looking for a BPA free food processor. It’s fairly easy to find glass blenders these days. You’d think the best food mixer you can get would be made of glass, too. Unfortunately, most food processor manufacturers haven’t caught up yet and it’s rare to find a food processor made out of glass. A few are made with glass or stainless steel, but it’s unusual and most have plastic in other parts such as the blade casing. However, since you’re unlikely to put hot liquids in your food processor (unlike a blender, which might be used for soups) it might be less of a concern. To be on the safe side, don’t store food in the food processor bowl or heat it. Of course, you can opt for a stainless steel or glass model (I’ve included two options below) although at this time they don’t tend to be as powerful as plastic models. Food processors don’t tend to have as many buttons and speeds as blenders do. It does help to choose a food processor with a “pulse” function, which gives you better control and precision. For example, using this you can chop nuts, rather than always puree them into a nut butter. You might also want to consider whether it’s dishwasher-safe. While food processors don’t come with as many bells and whistles as blenders in terms of buttons and modes, they often come with all the bells and whistles in the attachments/accessories department. Many come with different blades and discs for chopping, slicing and grating. Some even come with different sized bowls you can swap out depending on how much food you’re processing. Consider what you’ll use the food processor for and if you’ll use all the accessories. My parents’ food processor, for example, is a heavy-duty Cuisinart but they rarely use all the blades and discs. The chopping blade is in there 95% of the time. Food processors can range in price from anywhere from under $50 to several hundred. I highly recommend buying the best food processor you can afford. It’s worth investing in in one that will be with you for years. My parents have had their Cuisinart for nearly 30 years (they have had to replace a few parts in that time, but they’ve ultimately saved money and it’s been much more eco-friendly than buying a new food processor every few years). Looking for the best food processor for chopping nuts? The best food processor for cauliflower rice? The best vegan food processor? The best food processor for making peanut butter? The best food processor for almond butter? The best food processor for nuts and dates? Read on for my reviews below. Want to buy an amazon com food processor? Or looking to buy food processor UK? Wondering what the best food processor UK wise is? Whether you’re in the US, UK or elsewhere, I’ve linked to purchase on Amazon (just click the buy button below each review to be taken to your local Amazon page). Read on for the best food processor reviews. What’s the best food processor to buy? Looking at high end food processors? Well, in terms of high end food processors, you can’t get better than the Magimix is my top pick. If you’re looking for super-smooth, creamy nut butter in minutes, then this super powerful food processor will do the job. It’s the best food processor for nuts (and other foods), hands down. No matter what you plan to make, from cashew cheese to pesto, the Magimix will make it. Is it the best food processor on the market? Well, it’s certainly the best nut grinder and it’s the food processor of choice of Deliciously Ella, so you know it’s got the strength to blitz through a lot of seeds and nuts to make energy balls, raw bars and more. It’s the best peanut butter food processor and the best food processor for making cashew cheese (in short, the best food processor for a plant based diet). Made in France, the Magimix is very high quality. The 14-cup bowl is 100% BPA-free plastic, and it comes with a three-bowl system, allowing you to make large and small quantities. It comes with a stainless steel blade for chopping, mincing and emulsifying, a dough blade and a whisk. The Magimix has an extra-wide feed tube, meaning you can feed whole vegetables into it for chopping. WIth a 950 watt motor, it’s got plenty of power to blitz through anything you put in it. If you’re looking for an amazing nut butter food processor, the Magimix is it. At over $300, the Magimix isn’t cheap, but it’s quality construction means it will last for many years, meaning you may save in the long-run. Lots of customers are very loyal to the Magimix brand and report their Magimix food processors last 30 years or more. Looking for the best food processor professional grade, that’s not thousands of dollars? I think the Magimix offers the best balance. The Magimix is my pick for the best food processor. It might be on the pricey side but it’s worth it when it comes to quality. Buy a cheaper food processor and you might end up having to replace it in a few years. The Magimix, on the other hand, comes with a 30-year motor guarantee. Best of all, Magimix nut butter will be creamy and smooth. If you’re wondering which food processor is best in the mid-range budget? Look no further than the Cuisinart. Cuisinart is a well-respected brand that makes durable, high-quality kitchen appliances. My parents have owned their Cuisinart food processor for 30 years and it’s still going strong. In that time, they’ve replaced the cover (the plastic cracked) but luckily since it’s a popular brand, it was fairly easy to find a replacement lid. And the Cuisinart 14-cup is, in my opinion, the best Cuisinart food processor. Large capacity food processors like the 14-cup Cuisinart are big enough to make enough for a family; so if you’re looking for the best food processor to make nut butter in big batches then the Cuisinart is a good option. However, if you only make smaller batches or cook for one, this food processor may be too big for you. The Cuisinart is a hard-working, durable machine. It makes excellent nut butters and because the motor is so powerful (720 watts), you can run it continuously until you’ve blitzed up a creamy nut butter. If you’re looking for the best food processor for nut butters in the mid range price, you’ve found it. The Cuisinart is my top choice for a mid-range food processor. It’s the best food processor to make nut butter and will beat any blender for nut butter, hands-down. Whether you’re hoping to make food processor almond butter or peanut butter (or something more exotic like pumpkin seed butter), this will do the best job. Their appliances are very long-lasting, and although the motor warranty is shorter than the Magimix, most people are able to use their Cuisinart for many years. WIth a fairly large 14-cup capacity and a strong 720-watt motor, the Cuisinart will make smooth nut butters and anything else you wish to make in it. 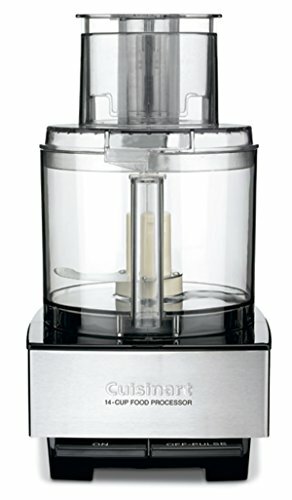 If you’re looking for the best food processor (cheap end of the spectrum), then you’ve found it with the Cuisinart Mini. While it’s the best cheap food processor, don’t think it’s poorly constructed; Cuisinart is a highly respected brand. It’s also very compact so perfect for small kitchens and those without much storage space. However, bear in mind it’s a chopper food processor. What’s the difference between a food processor vs a food chopper? A food processor typically is bigger, has more blades and accessories and can perform more functions, such as: mixing dough, shredding vegetables and grating food. A food chopper, on the other hand, usually has a much smaller counter footprint, has no accessories, and can make hummus, pesto and salad dressings. The best mini food processors or choppers fit comfortable in any cabinet or under-counter space. Because of its size, you may find you prefer small food processors like Cuisinart Mini over a larger food processor anyway, as I do (and so does this chef over on The Kitchn). Even though it’s only got 250 watts of power, the Cuisinart Mini packs a lot of punch and it’s a fairly affordable / cheap food processor. It’s hands-down the best small food processor UK and US wide. It does a great job on making any sauce or dip you want. If you want a food processor that can help you slice, grate and shred food, then you should invest in a larger model. However, if you’re only planning on using your food processor for dips, sauces, chopping onions or garlic or grinding nuts, then the Cuisinart Mini is a good food processor that will cost you less and take up less space in your kitchen. Looking for the best 3 or 4 cup food processor? Here it is! The Cuisinart make the the best 3 and 4-cup food processors around. My pick for the best budget food is this 3-cup models as I believe it to be the best 3-cup food processor. It’s perfect for making small batches but I wouldn’t recommend going any smaller than 3 cups as it will likely be too small for your needs. In my opinion, it’s not just the best mini food processor for hummus, it’s the best food processor to make hummus and other dips, period. Its small size means it’s perfect for whipping up the equivalent of a tub of hummus, rather than a gallon of the stuff. The Cuisinart Mini is the best food processor under $50 on the market today, I believe. 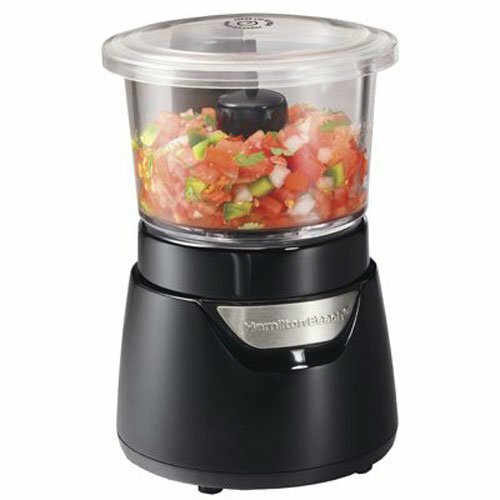 The Cuisinart Mini is excellent value for money, and provided you’re only looking for a food processor to make dips and sauces, it’s a great choice. In terms of making nut butter, it will do the job but will be louder and take longer than a larger food processor. If you’re looking for a cheap Cuisinart food processor though, this is the best mini prep food processor. ✓ Excellent value; looking for the best food processor under $100? Well, this one’s under $50! 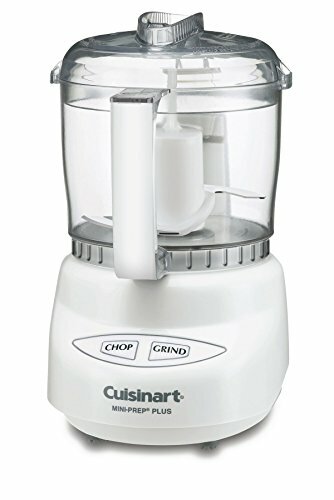 For a food processor on a budget, the Cuisinart Mini is my top choice and the one I picked when outfitting my first kitchen years ago. I think it’s the best small food processor for nut butter. I love mine, and believe it to be the best basic food processor out there. It may not slice and grate like a larger food processor, but it does all the functions I need out of a food processor: grinding nuts and seeds, and making hummus, pesto and dressings. I love its small size for ease of storage (it takes up less space in the cupboard than my mixing bowl!). Plus, I find it makes plenty for 1-2 people. It’s the best small food processor for hummus. Unless you have a large family, you’re unlikely to need 6 pounds of hummus; I find the 1 lb or so I can make in here is plenty! Looking for the best food processor for small kitchen and the best value food processor? This is it! Looking for the top food processors? Here are the top rated food processors in every budget! The Breville food processor is strong. At 1200 watts, it may, in fact, be too strong; many owners of the Breville report that instead of shredding their food, it overprocesses it and turns it to mush. However, if you’re looking for a really high-powered food processor to turns your nuts into nut butter in no time, the Breville might be it. Whether you want pesto, cashew cheese, or nut butter, food processor from Breville is a great option. WIth 1200 watts of power, the Breville is very high-powered (though as mentioned above, it might be too high-powered when you’re trying to grate or shred vegetables). It is the most high-powered food processor on our list, and can grind and chop vegetables in just a few seconds. Very speedy! 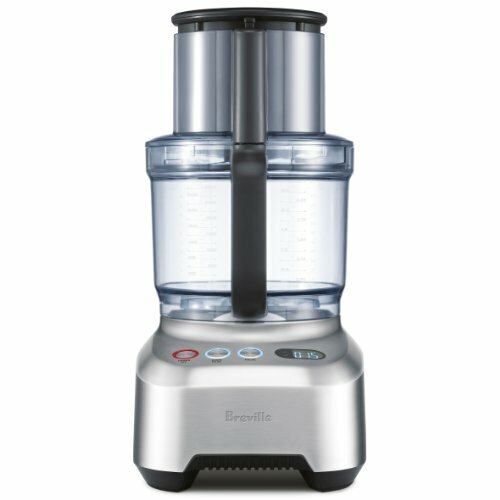 It also has an extra-wide feed tube, so you can feed whole vegetables straight in and if you’re looking for the best food processor for grinding nuts, the Breville will do it efficiently. The Breville is at the higher-priced end of the spectrum. If you want to invest in a very strong food processor, you might want to look at the Breville. However, in this price range, I’d recommend the Magimix food processor instead, which is my top-rated high-end food processor. If you’ve got the budget, the Breville is a good piece of kitchen equipment and one of the best food processor nut butter wise. With its high power, it will quickly process foods. However, this high power can be over the top, turning your foods into mush. At this price range, I’d recommend the Magimix 4200XL instead. 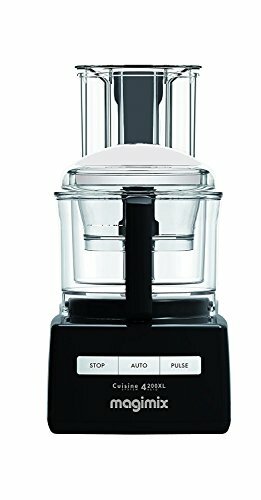 Looking for an amazon.com food processor? Follow the link below. 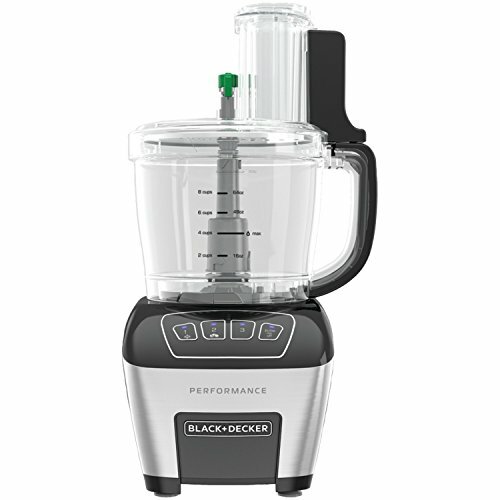 The Black+Decker food processor is a solid mid-range option. It’s not the most expensive food processor, nor is it the cheapest. With an 800-watt motor, it’s fairly powerful. It has a digital control panel, meaning it’s easy to wipe-clean, perfect if you’ve got kids with sticky hands helping out in the kitchen. It also comes with two work bowls; an 11-cup model and a 4-cup model. Looking for the best 11 cup food processor, which also has a smaller bowl option? With the Black+Decker, you can swap out the bowls depending on how much food you’re processing. The Black+Decker processes food fairly quickly thanks to the motor, but does not chop food evenly. So, you’re likely to end up with small and large pieces of carrot, onion or whatever you’re processing. The Black+Decker model is fairly good value for money, but beware that the inside has many hidden spots and is not easy to clean. Plus, because of its multiple parts takes up a lot of storage room. At this price point, you’re better off going with the Cuisinart 14-Cup, which chops food more easily and performs better. However, if you want a digital display or multiple work bowls, the Black+Decker might still be for you. If you already have a KitchenAid stand mixer, then you might want to purchase a food processor attachment for your stand mixer. It comes with multiple blade attachments so you can grate, chop and slice foods. 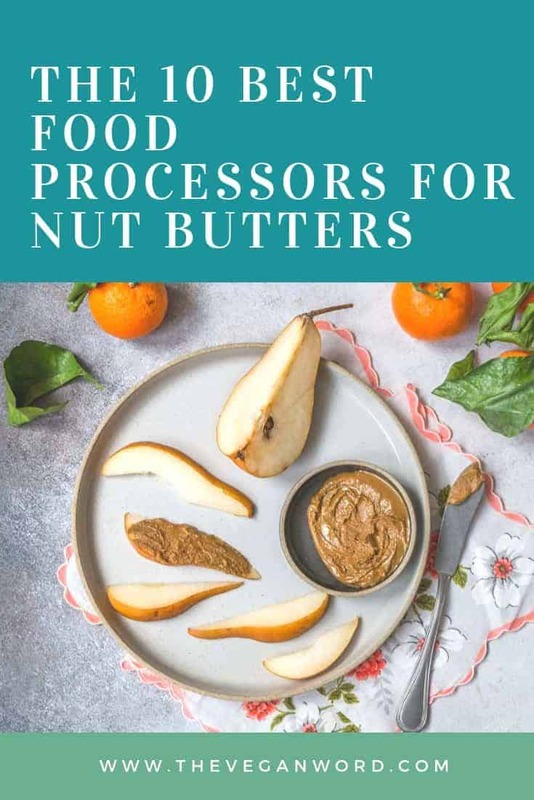 However be aware that it’s really more of a slicer and grater than a food processor; if you want to make nut butters, sauces and dips you’ll want a food processor instead of or in addition to this. A Kitchenaid peanut butter grinder it is not. Nut butter in a food processor is the way to go. The KitchenAid attachment easily chops, slices and grates foods but doesn’t mix food and won’t make nut butters. Since the KitchenAid attachment doesn’t perform all the functions of a food processor, I don’t think it’s good value for money. However, if you already own a KitchenAid stand mixer and just want an attachment that will allow you to quickly slice vegetables, this is a good option. If you’re looking for a food processor best to just slice and chop veggies and already own a KitchenAid mixer, the KitchenAid attachment might be for you. However, if you plan on making nut butters, hummus or pesto, this model is NOT suitable as it doesn’t mix food. In that case, I recommend the Cuisinart 14-Cup. The KitchenAid 9-Cup is a good food processor model if you’re looking for a mid-sized food processor not as big as a 14-cup model (like the Cuisinart 14-cup or Magimix 4200XL, my top choice in mid-range and high-end models, respectively) but not as small as a mini food chopper. It also comes in multiple hues (silver, white, black and red) if you want to match it to your kitchen decor. It also comes with a 3-cup bowl (in addition to the 9-cup work bowl) so you can swap over for a smaller bowl if you’re processing less food. The KitchenAid 9-Cup is pretty low-powered (325 watts) for such a comparatively large food processor, but it manages to puree hummus and sauces fairly well. However, it does struggle a bit with creating a smooth nut butter. If you’re looking to make peanut butter in a food processor that’s extra creamy, this might not be the one for you. But, if you just need a food prcoessor for grinding nuts and creating a chunky nut butter, it could work for you. The KitchenAid 9-Cup is decent value for money if you’re looking for a mid-sized food processor, but it has its downsides. 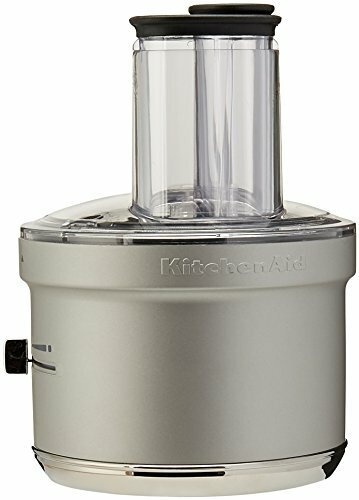 If you’re low on space but don’t want to go as small as a mini food chopper (and you still want a food processor with multiple blades/attachments), consider the KitchenAid 9-Cup, but be aware of its limitations. While it makes decently smooth hummus, the same cannot be said of nut butter. The Hamilton Beach 12-Cup is the food processor for you if you’re looking for a full-sized food processor below $100. However, it does only come with a 1-year warranty. With three sizes of feed tube (small, medium, large) you can feed any sized vegetables into it. As one might expect, the Hamilton Beach 12-Cup is not as durable as more expensive models of food processor, but it does do the job. It’s hard to beat the price for the Hamilton Beach 12-Cup. If you’re looking for a budget food processor, then consider the Hamilton Beach 12-Cup. However, I always recommend you get the best for your money and the most durable appliance you can find. For that reason, I’d recommend saving up for a more expensive food processor or buying a smaller mini chopper around the same budget. It won’t be able to process as much food but it just might last a few years longer. If you’re concerned about plastic, then you’ll likely have found how difficult it can be to find kitchen appliances without plastic, particularly when it comes to food processors. While blender manufacturers have cottoned on to people’s plastic concerns and started making jugs out of glass (or even stainless steel) unfortunately this is not the case with food processors and almost all food processors are plastic. It may be less of a concern with food processors than blenders, since they tend not to hold hot food (unlike a blender which might be used for soup), but if you’re avoiding plastic, then consider the Bestek. It’s more food chopper than food processor, but can be used for sauces and dips and even nut butters. Given the lower power of the Bestek compared to some larger models, it might take a bit longer to mince, chop and puree, but it can do the job. With a 5-cup/1.2 litre capacity it’s slightly larger than most mini processors, but smaller than the big food processors. 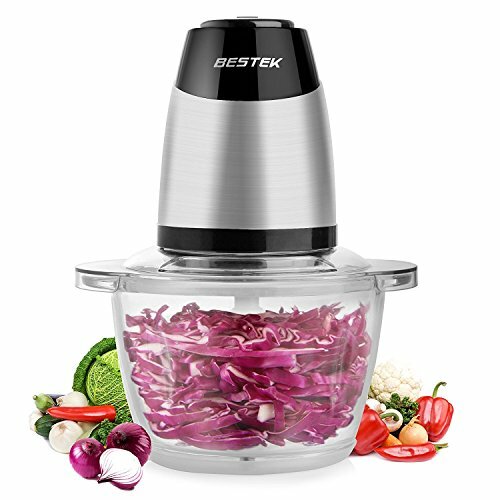 The Bestek is excellent value at under $50 for a mini food processor with a glass work bowl (the blades look like they have plastic parts but the bulk of what is in contact with food — the bowl — is glass). If you’re looking for a plastic-free food processor, then the Bestek is a good option. Most of the area that’s in contact with food is glass. With 300 watts, the motor does a pretty good job of making sauces, dips and nut butters but it’s not as powerful or fast as other food processors. However, this is one of the few choices in glass food processors. The Hamilton Beach glass mini food processor is another good option if you’re looking for a plastic-free food processor. It’s smaller than the Bestek glass food processor. It holds three cups (while the Bestek holds five) so you may want to consider how much food you’ll be processing. And just like the Bestek, while the work bowl is made of glass, the blade and other parts contain plastic. 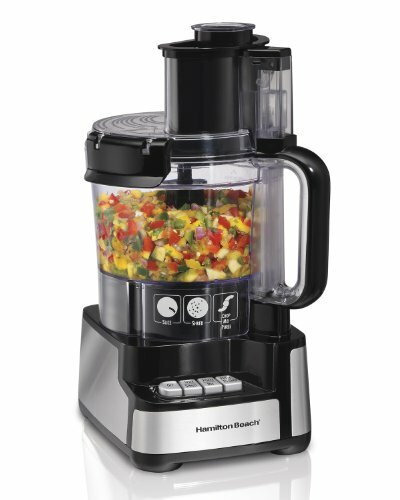 The Hamilton Beach food processor is small, but works hard for its size. 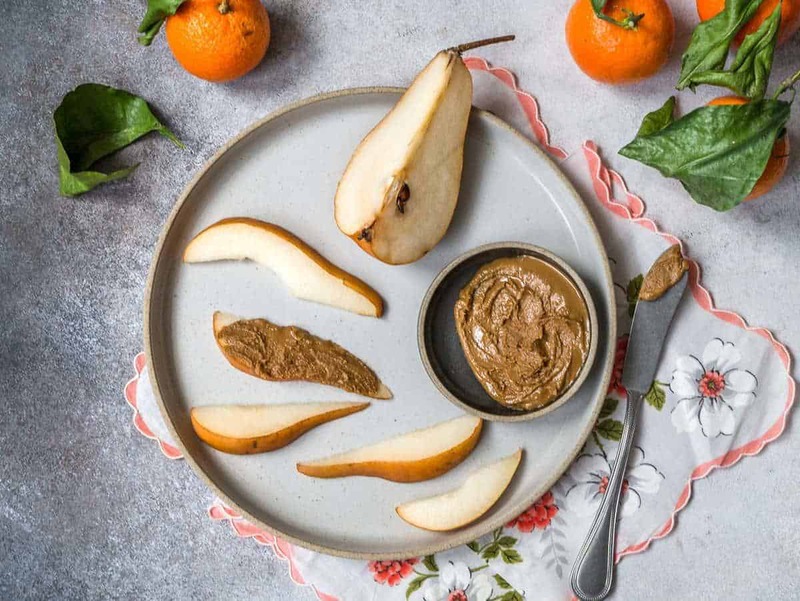 It can process most foods, chopping onions, garlics or making salad dressings, but may struggle with nut butters given its low wattage (175 watts), the lowest on this list. The Hamilton Beach food processor is a good price, but bear in mind it doesn’t have as much power as some of the other food processors on this list. The Hamilton Beach glass mini food processor is a good option for a plastic-free (or low-plastic, rather, since some parts are still made of plastic) food processor, but bear in mind its limitations given its size and motor wattage. If you’re looking for a machine with a little more oomph, and a slightly bigger capacity, that’s still made of glass have a look at the Bestek glass food processor, which is in the same price range. Now you’ve found the best food processor (nut butter wise), what can you make in it? A ton of plant based recipes! From pesto to hummus to cashew cheese, food processors are perfect for making homemade sauces and dips. For the best cashew cheese, I recommend the Magimix 4200XL but my Cuisinart Mini Prep works just as well! With a food processor, you can skip all the soaking cashews and waiting and get on with making your cashew cheese. 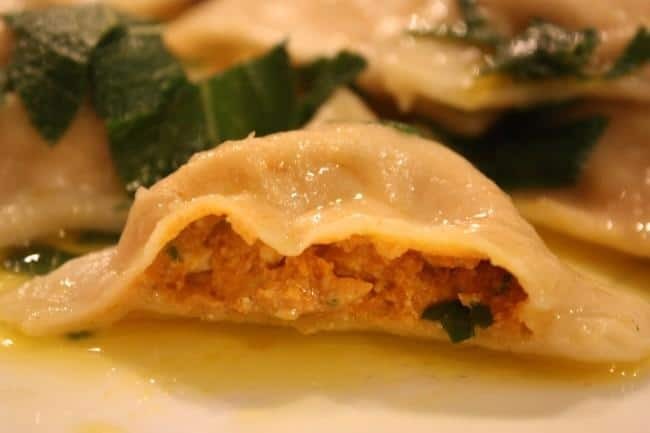 Find the recipe here. I love my Cuisinart Mini Prep for making small batches of hummus, but for the best food processor for making hummus in larger batches I’d suggest the Magimix 4200XL or the Cuisinart 14-Cup. 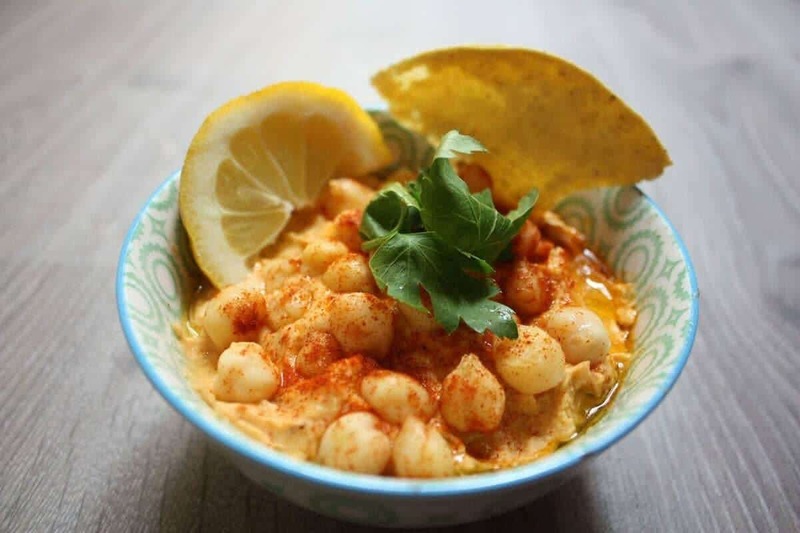 Find my hummus recipe here (along with my recipe for falafel, which requires a blender). For pesto, you don’t actually need a food processor (traditional recipes call for a mortar and pestle). But save your wrist and arms by using a food processor. Since pesto can be chunky, you don’t need a lot of power and any of the food processors listed will work for pesto, from the Breville BFP800XL to the KitchenAid 9-Cup. 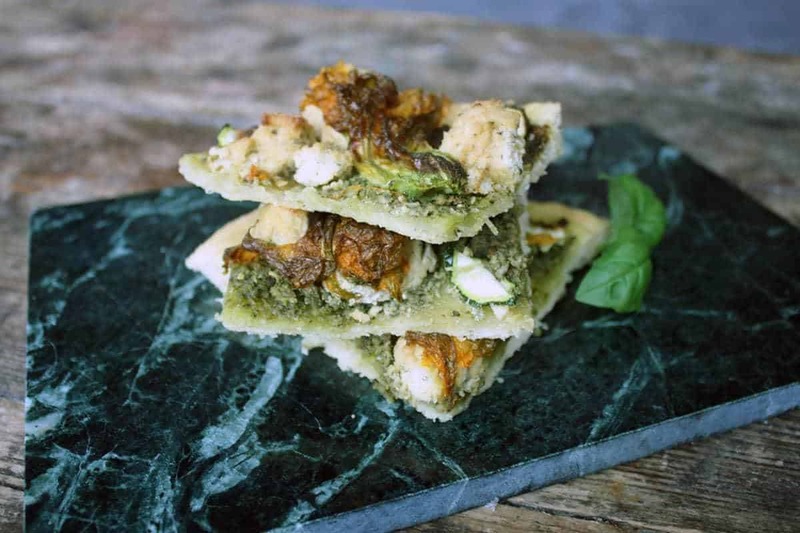 Find my pesto (pizza!) recipe here. You can prepare salsa by chopping ingredients by hand (although this will result in a chunkier salsa), or using any of the food processors reviewed above for a super-smooth salsa. Find a salsa recipe here. Easily chop dates (removing the pits first!) in the food processor, or make a smooth, healthy date caramel sauce. You can’t easily make date caramel in a blender. For best results, use a powerful food processor like the Magimix 4200XL or Breville BFP800XL. Find a vegan date caramel recipe here. Making nut butter is simple with a good food processor; all you need are nuts and patience. For the reamiest nut butters, I recommend the Magimix 4200XL. For better results, use nuts without skins and lightly roast your nuts first to bring out the taste. Of course, you can also add spices, cocoa or other additions. Find recipes and instructions here. Please note this post contains affiliate links, which means I’ll get a small percentage of the sale, at absolutely no extra cost to you. Buying through these links helps me run my site. Thanks for your support! I’ve had my Cuisinart Prep Plus 11 cup food processor for about 10 years now and I still love it! Cuisinart had a recall on the blade a year ago so I got a brand new blade. I could see upgrading to the 14 cup if this one ever dies on me. I’d love to make more of my own vegan staples. Where do you find is the best place to buy nuts (organic if possible) in bulk? My current blender is second hand from a friend, and after many years of good service, it’s on its last legs. Thanks for your amazingly comprehensive guide to buying a new one when the inevitable happens and the blender dies. 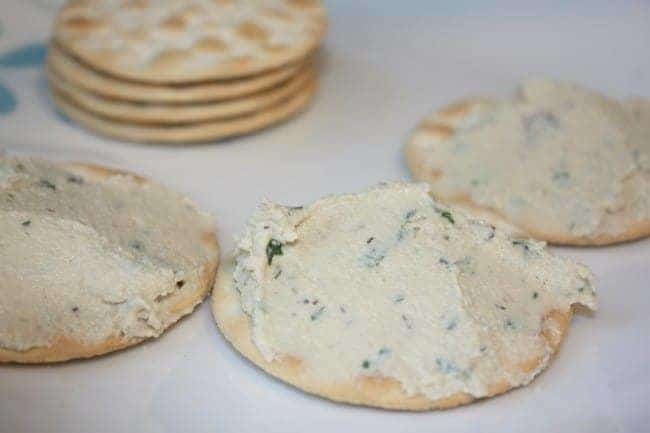 I’d really love to make some decent cashew cheese again!